Here’s another video from Paul Robinson. 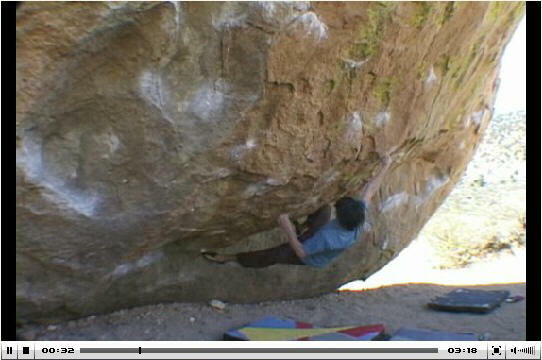 This time it is footage from his send of Direction (V13) at the Buttermilks outside of Bishop, CA. You can see video of Paul sending A Maze Of Death here.